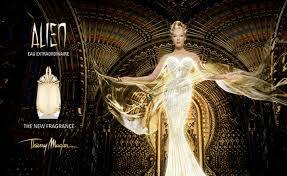 Eau de Toilette Thierry Mugler Alien Eau Extraordinaire is beautiful floral fragrance with woody touch of cashmere. The sale was launched in 2014 and its lightness, freshness and positive energy immediately charmed many men and women. This unique fragrance comes to you now in refillable flacon, which can always be by your hand thanks to it`s size. Fragrance full of light and freshness will be a good companion during long work days and romantic evenings. The unique composition of this fragrance has a stimulating effect on your senses. There is white amber and cashmere wood mixed with scent of citruses and flowers. Specific aromas of black tea softly mingle with bergamot and neroli. Gardenia blossoms fill perfume with honey tint with touch of exotics. 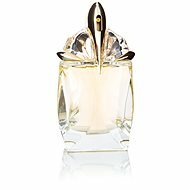 Perfume is hidden in crystal marquee shaped flacon, which represents rare diamond`s grind. 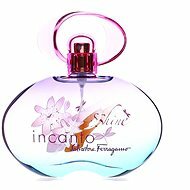 This fragrance is suitable for a romantic woman who leaves behind a brilliant, seductive and sensual sparkling scent, which highlights her natural beauty thanks to it`s unique composition. Wrap yourself in luxury and charm every man! 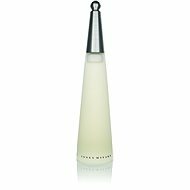 For shipping to other EU countries visit this page Thierry Mugler Alien Eau Extraordinaire EdT 60 ml. Für Versand nach Deutschland, besuchen Sie bitte Thierry Mugler Alien Eau Extraordinaire EdT 60 ml. Chcete doručit zboží do Česka? Prohlédněte si THIERRY MUGLER Alien Eau Extraordinaire EdT 60 ml. Chcete doručiť tovar na Slovensko? Prezrite si Thierry Mugler Alien Eau Extraordinaire EdT 60 ml. Für Versand nach Österreich, besuchen Sie bitte Thierry Mugler Alien Eau Extraordinaire EdT 60 ml. Magyarországra történő kiszállításért tekintse meg ezt a termékoldalt: Thierry Mugler Alien Eau Extraordinaire EdT 60 ml.